Pink candy eggs delivered by the Easter Bunny are always nice, but a pink Anderson Crepe Hibiscus Tree is so much nicer. First of all, this pink charmer doesn’t melt. Second, it will be there for you long after Easter with soft pink flowers that sway your gaze. Why? 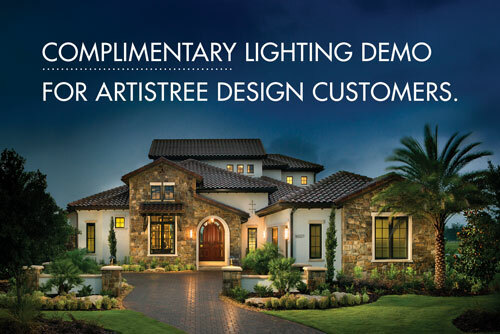 ArtisTree offers plenty of reasons of why we choose these in-demand trees for southwest Florida landscapes. For starters, they provide an instant focal point that’s both tropical and alluring — a true garden classic that reaches up to 10 to 12 feet. You don’t need a whole bevy of them; these are accent trees where a little goes a long way. No need to overwhelm your landscape with too many. 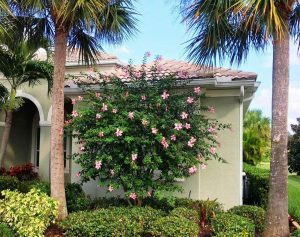 Anderson Crepe Hibiscus Trees are easy to maintain. 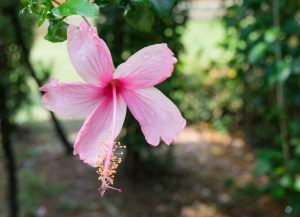 The Anderson Crepe Hibiscus Tree is also easy to care for, as long as you plant it in full to part sun with proper soil prep (just add top soil or organic peat humus to the hole). Trim branches back in the spring to encourage new growth, but other than that, only occasional shaping is need to maintain its soft, flowing look. It’s pest-resistant and can tolerate minor frost, too. Bottom line: don’t let this exotic beauty intimidate you. All the Anderson Crepe Hibiscus Tree needs is a little love. Since we’re on the subject of Easter pinks, plenty of other plant choices exist to bring you year-round joy — soft pales that stand out in the shade or hot hues to provide you with a cheerful “pink-me-up” in sunny locations. Schedule a consultation with one of ArtisTree’s award-winning designers for your own private “think pink” session. And before you arrive, why not check out some of our other pink favorites featured in Sarasota Magazine? Dreaming of a landscape renovation? Choose the landscaper that luxury builders use by calling Jenni Lassen at 941.488.8897. Or visit www.artistree.com. For community-wide HOA landscape maintenance services, contact Mike Casper at mikec@artistree.com and we’ll get your proposal started. Our nationally ranked company serves Sarasota, Manatee and Charlotte counties.